The Turkey Trot is a 5 kilometer (3.1 mile) fun-run enjoyed by thousands of runners, joggers, and walkers each year. The course is on 100% street and will begin at the intersection of Adell Place and Park Ave in Elmhurst. 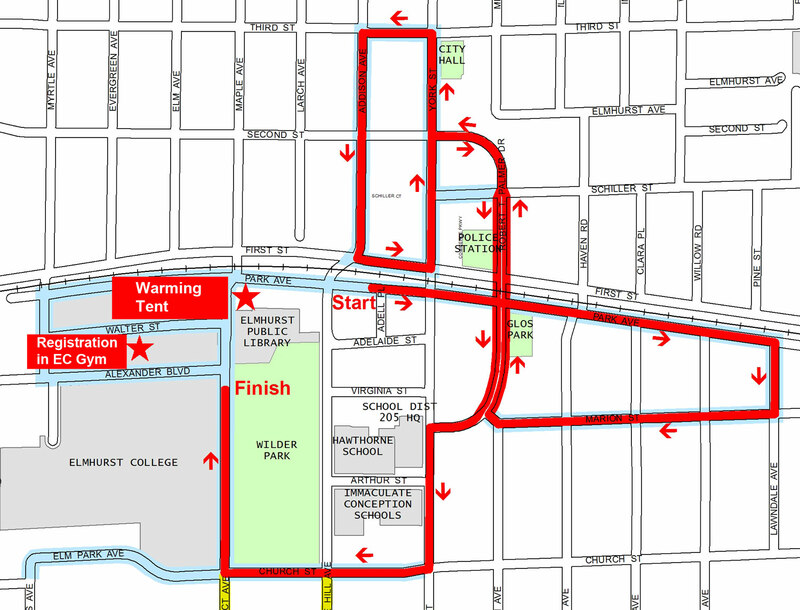 The gun will fire promptly at 9am, and the race will begin eastbound on Park Ave.
Below is the course map for the Dan Gibbons Turkey Trot. Click the image for a larger view. 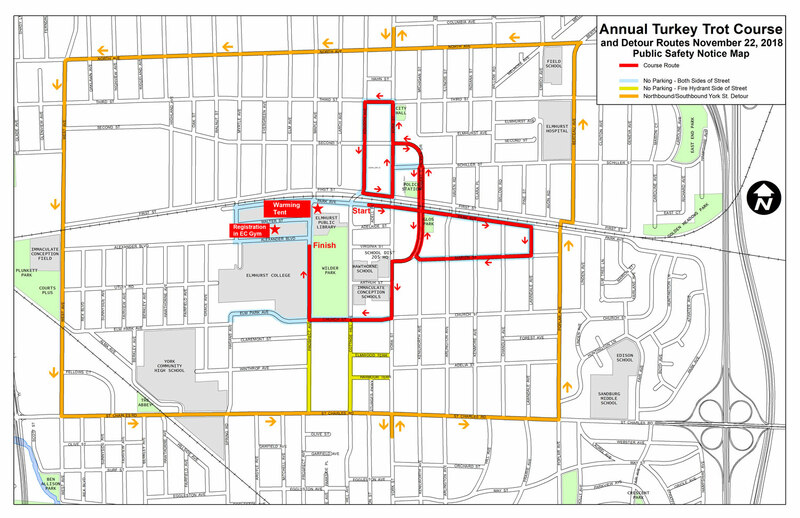 Below is a printable map with course and detour routes for the Dan Gibbons Turkey Trot. Click the image for a larger view.